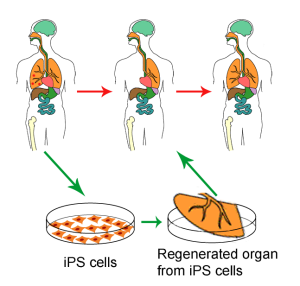 Yamanaka dubbed these cells “induced pluripotent stem cells” (iPSCs) because they are generated by inducing somatic cells (such as an ordinary skin cell) into a pluripotent state, making them the functional equivalent of pluripotent embryonic stem cells. In other words, researchers could now obtain abundant pluripotent stem cells without having to destroy embryos. 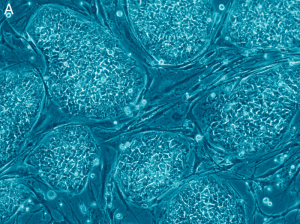 Many researchers hailed the advent of iPSCs as largely resolving that ethical dilemma associated with embryonic stem cell research, as human embryos would no longer have to be destroyed for their stem cells. Among the scientists celebrating the discovery was James Thomson, the scientist credited with first isolating hESCs, in 1998. “It is the beginning of the end of the controversy that has surrounded this field,” Thomson said at the time. Still, Thomson added that hESCR should continue in order to see that the iPSCs “do not differ from embryonic stem cells in a clinically significant or unexpected way,” and most other researchers agreed. Which brings us back to the recent study published in Nature Biotechnology. The study addresses exactly that question: do iPSCs differ in any significant way from hESCs? After submitting both hESC lines and iPSC lines to several tests, the authors concluded: no, they do not. “We conclude that hESCs and hiPSCs are molecularly and functionally equivalent and cannot be distinguished by a consistent gene expression signature,” they wrote. Today, 16 years later, science has advanced to the point where researchers can declare iPSCs “functionally indistinguishable” from hESCs, meaning researchers now have a virtually limitless supply of pluripotent stem cells that is relatively easy to obtain and most important does not rely on the destruction of human embryos. If the members of the NBAC panel were serious and are to be taken seriously, then it’s time to end the destruction of human embryos for research purposes.